Wait I will figure out. That's not quite standard linear form...check my post. No, go back and look at my post...you will see I wrote the equation in standard linear form, and then I computed the integrating factor. Yes, isn't that what I wrote? Hahaha yes i notice the r is transfer. Then after that? Integrating factor.? Yes, once you have the equation in standard linear form, you want to compute the integrating factor. This is what i get now. Okay, distribute the integrating factor on the left, and you will find the LHS can then be expressed as the derivative of the product of the integrating factor and the dependent variable r. This is the reason for computing the integrating factor in the first place. How about this one.? 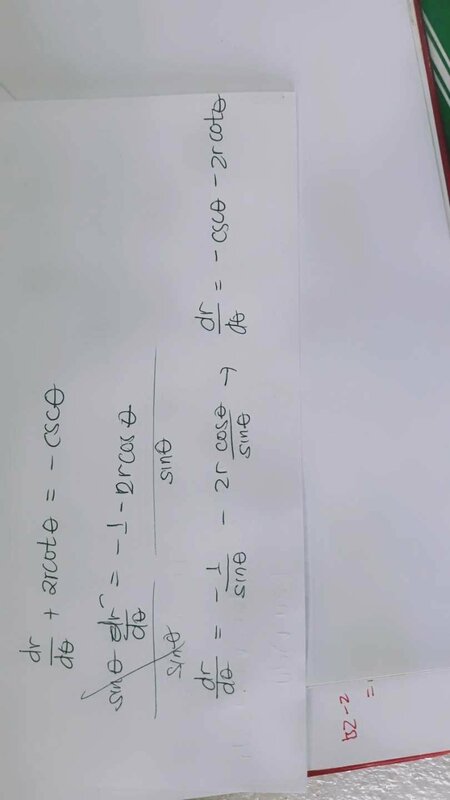 How to approach this question? 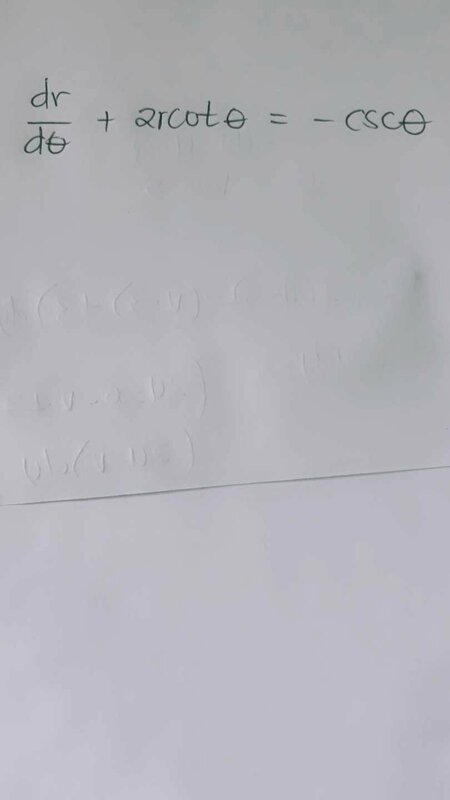 You should really be starting new threads for new questions, and looking into using $\displaystyle \LaTeX$ to post your math instead of images (frequently sideways) of handwritten work. I think its not exact.